Hey everybody!!! Happy Friday!!! I won't keep you long but today I wanted to share with you a really simple outfit I made to run around and get some errands done this weekend! 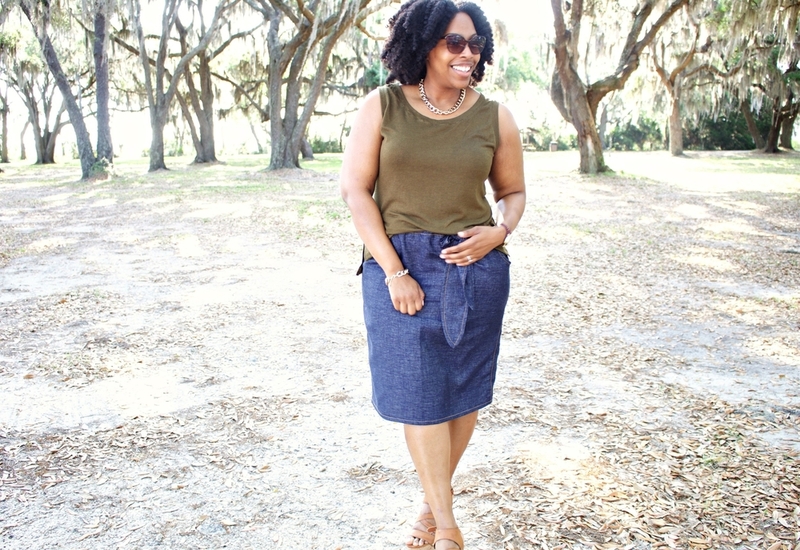 For my tank, I used Simplicity 1167! I ordered my olive fabric from Fabric.com a while back to originally make a dress but the fabric was more lightweight than I wanted, so I decided to try a top instead. The pattern is really quick and easy to sew, and I did not have to make any adjustments to it. It's very beginner friendly however, if you do need help with this pattern, you're in luck because its one from Mimi G collection. 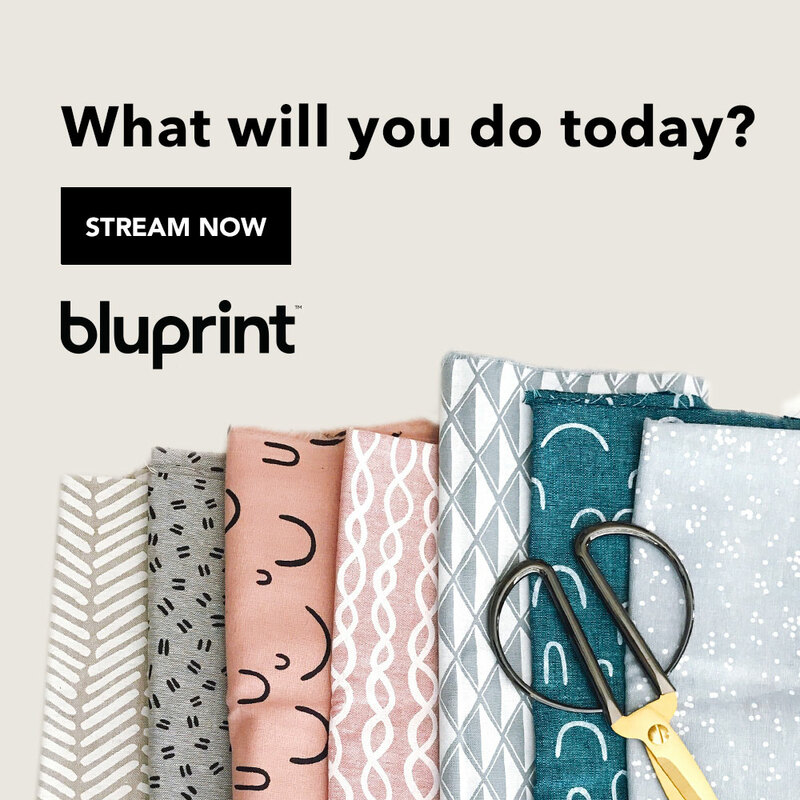 For all her patterns, she uploads a step by step tutorial to help you on Youtube! 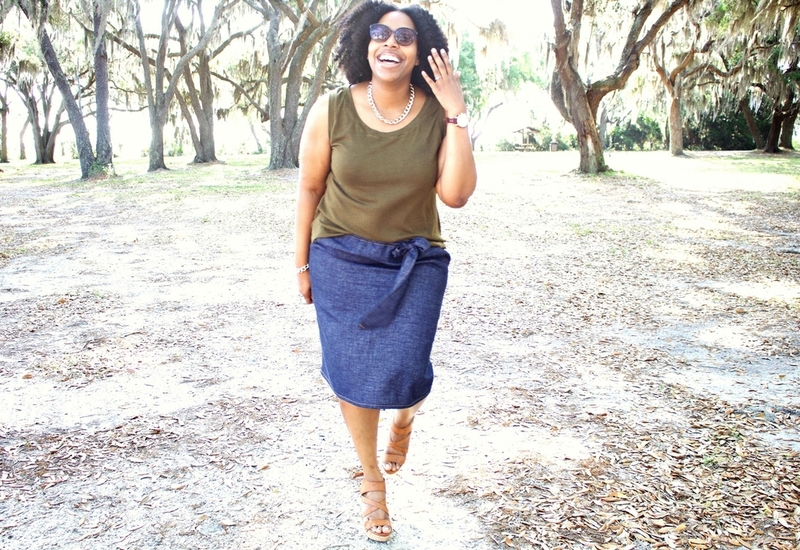 My skirt is a repeat pattern I used to make my black and cream floral linen skirt. Simplicity 2258 is just one of those patterns you all will have to get used to because I love it! 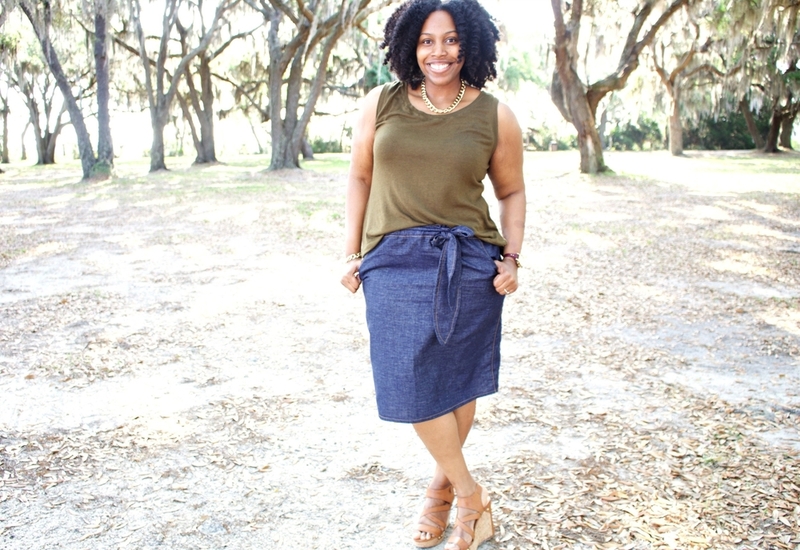 I used some lightweight denim to make my skirt and to make it look more "denim look" I decided to topstitch the skirt in a few places! Hope you all enjoy your weekend, and I'll talk to you in the next post! !